IMPORTANT ANNOUNCEMENT: 5th CALL AMENDMENT! 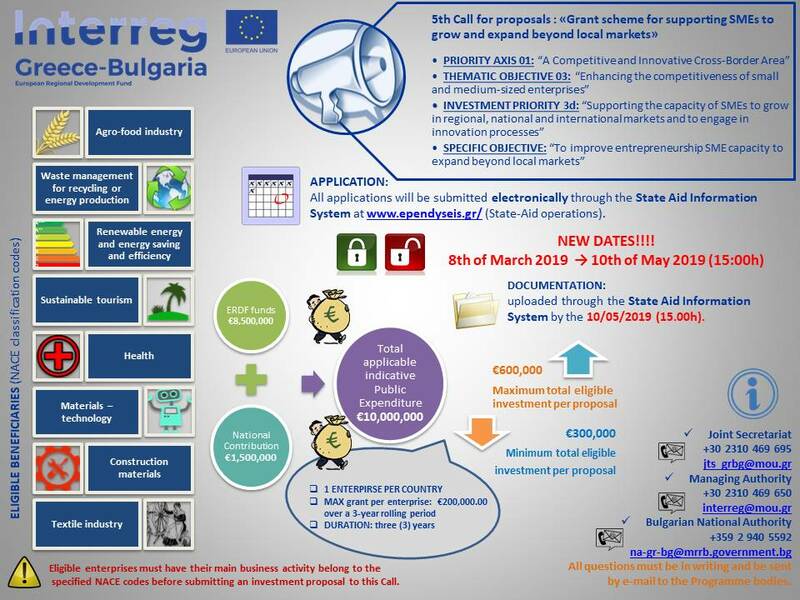 The 5th Call of the CP INTERREG VA “Greece-Bulgaria 2014-2020” will remain open from 08/03/2019 to 10/05/2019. The deadline for submission of applications is 15:00h of 10/05/2019. the Annexes (I.1, I.2 and I.3).